Owakudani Volcanic Hakone Valley is a very popular attraction place to visit during our one day local tour trip to Mount Fuji and Hakone in Japan. You can read about my trips to Mount Fuji and Hakone Sightseeing Cruise on Lake Ashinoko on my previous post. We joined the local tour trip which was a popular tour for tourists traveling from Tokyo to Mount Fuji and Hakone for a day trip. You can find many local trips available by searching online. Owakudani (大涌谷) is an active volcano crater zone, created during the last eruption of Mount Hakone some 3,000 years ago. Visitors can reach to the top of Owakudani by driving through the curvy and steep roads or getting on the cable car ride at Hakone Ropeway Station. 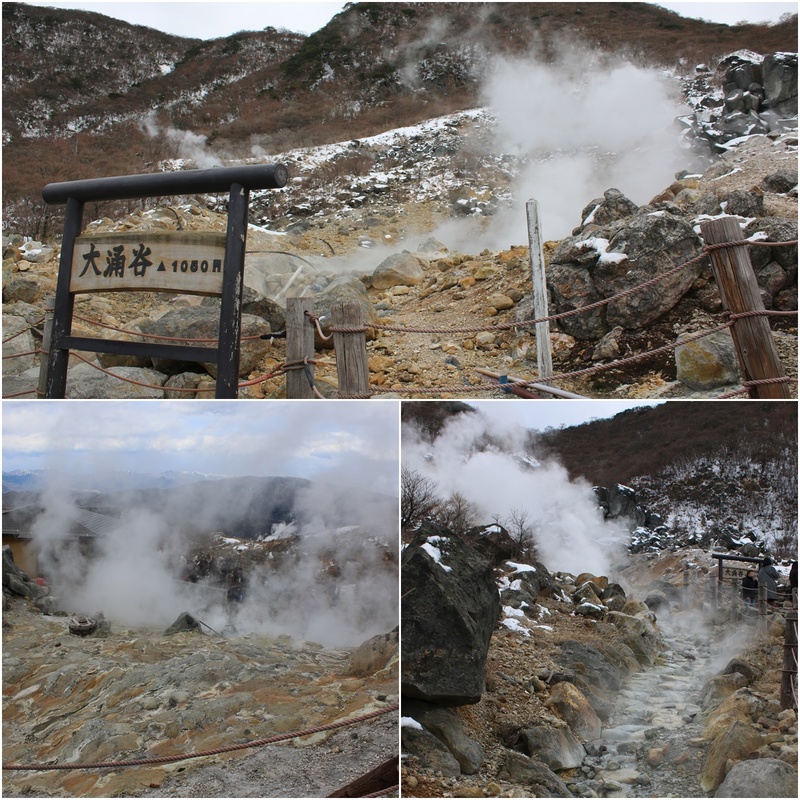 Once you have reached to the top of Owakudani Valley, you can see many steamy natural hot spring pools as well as smelling the sulfurous fumes. Visitors are encouraged to try the cooked eggs which are boiled on the hot natural spring pools. The shells of eggs are blackened by the sulfur as it is believed to prolong one's life by seven years. 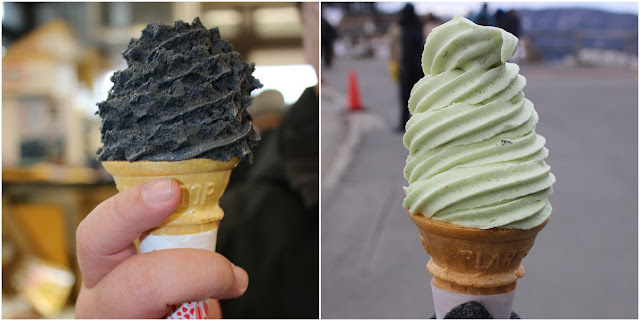 Apart from that, visitors must try the localized ice-cream flavour of volcanic ashes and green tea before leaving Owakudani.